Yes thats right, Clashing Time is having its first blog giveaway, the prize is a £25 gift voucher for ASOS. All you have to do is be a follower of my blog or become one, comment on this post with why you should win and post about the giveaway on your own blog with a link back to my page. http://www.discountcoder.com/ have some fab discount codes available from lots of top fashion retailers including Dorothy Perkins, House of Fraser and New Look so make sure you check them out before you buy online and save yourself some cash. The winner will be chosen through http://www.random.org/. p.s thanks for always commenting me! Awesome giveaway. I should win because, um...I'm awesome?! 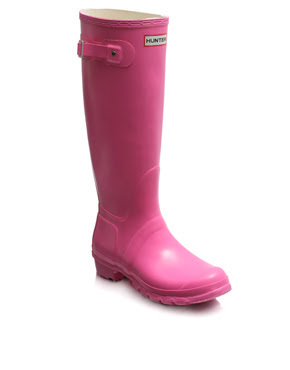 Ahh I really want hunter wellies too, except in a pale pink version. Well er...because you love me so much...? Just KIDDINNGGG. Because I want some new clothes and thanks to your BIRTHDAYYY (yay though!) I shall be broke...haha. Thanks for your sweet comment on my blog. :) I have been SO depressed lately and it really is a comfort to know I have great friends like you in the blogging world! This is a wonderful giveaway. I would like to write about this in my next post but i'm not sure I'm going to be able to do my next one until Monday. Is that too late? When does the giveaway end? And I think I should win because...in one week I won't have money to go shopping anymore! I want some free clothes! LOL! Hope you're having a great week, sweetie! PS. I'm a follower, of course. Oops had to delete my last post as I was entering another competition in a different tab and got confused! I'd love to win as I've hardly spent any money on clothes this month and that's needs to change next month! I've posted about your competition and linked to your blog on my blog. I think I should win because my New Years Resolution is to become more fashionable and with a voucher for ASOS, I can't really go wrong! Ok, I would love to win as I've never, no never, bought anything from ASOS! Ok, ok, please don't hurt me, but I pick out so many clothes I love from the site but never seem to have the cash, then by the time I get paid most of the clothes I want are gone. Have added your giveaway to my blog also lovely! The Madness of Mundanity - Pippa's Giveaway! I just stumbled across your blog and its lovely. I would love the voucher as I can only afford to shop on ebay at the minute! great blog and wooo for an asos giveaway! Why should I win? Ummm... because I'm asos obsessed?! lol I just posted about the latest asos items that I've spied, so I'll link back to your giveaway in the post. Hope I can figure out how to do that!